One of my sister in law’s lives near the south coast with her family which is quite along way from where we live. She had been very helpful to me over the last few years and today is her birthday. I decided to make her a little present and a card. 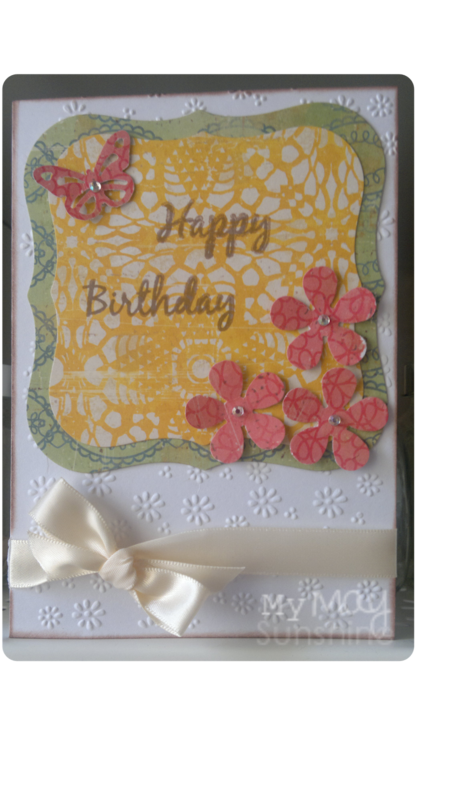 I recently bought the Nestabilities Label one die and the Martha Stewart double monarch butterfly punch and decided to use these on this card. Paper – Crate papers Restoration collection. ButterflyMartha Stewart Double monarch butterfly punch. Flowers – EK Success punch. 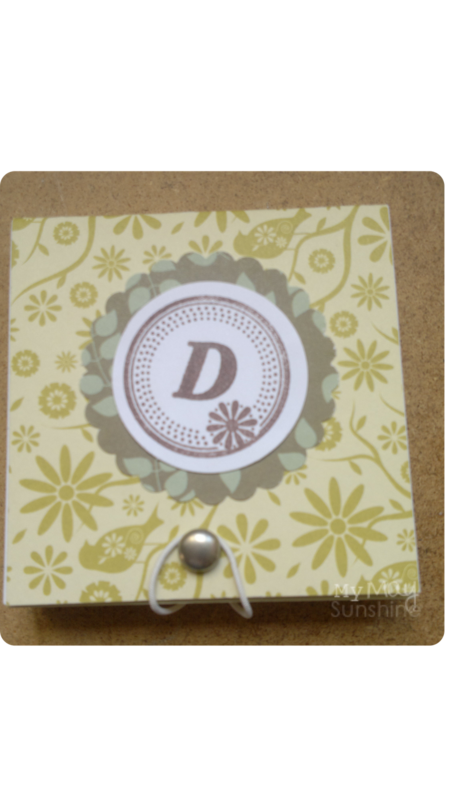 Embossing folder – Cuttlebug Daisy. Ribbon and rhinestones – Local craft shop. Stamp – Clare Curd Sentiments. 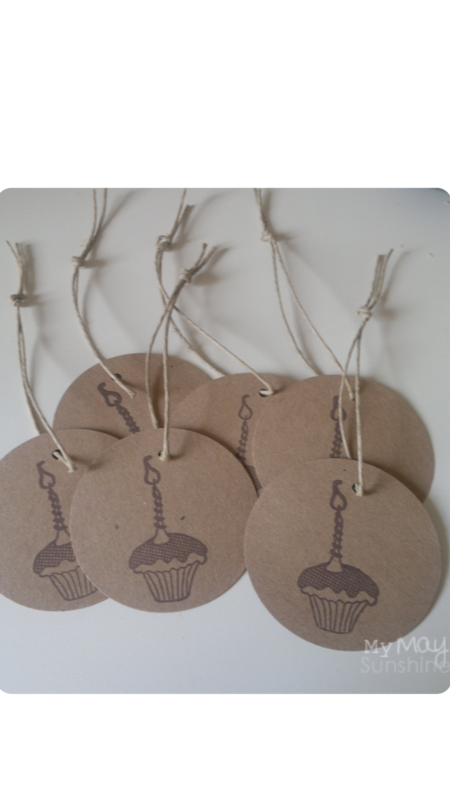 For the present I chose to make some simple gift tags. 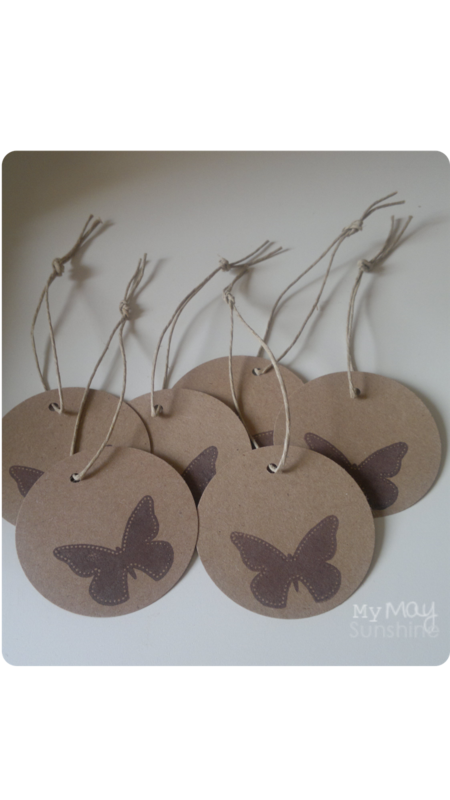 I just stamped a butterfly on 6 tags and a cake and candle on the other 6 tags with Versamagic brown ink and added some hemp twine . Butterfly stamp – American Crafts ‘Enjoy’. Cake and candle stamp – American Crafts ‘Birthday Large’. 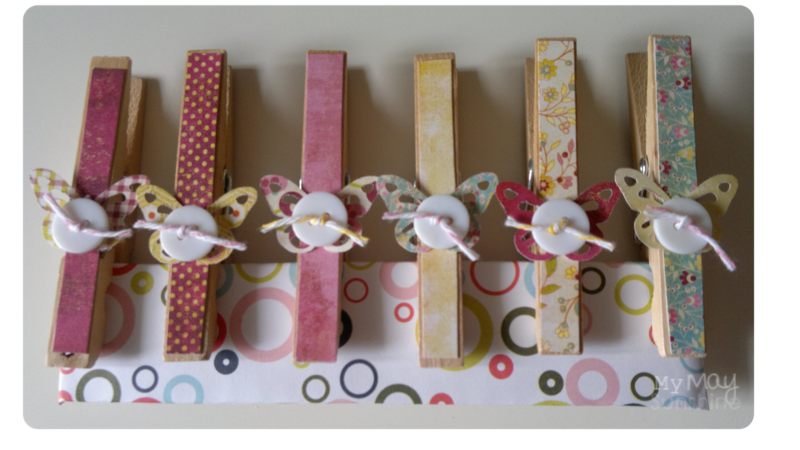 I also made some decorated pegs that could be used to keep paperwork, school info etc together. Paper – Basic grey ‘Lemonade’ Collection. Butterfly – Martha Stewart Double Monarch butterfly punch. Button – Local craft shop. The last thing I made was a decorated post it note pad. I stuck two piece of patterned paper together so the inside had some colour, added the elastic and brad so that it can stay closed and stamped the circle stamp on the white card and then stamped the D inside. 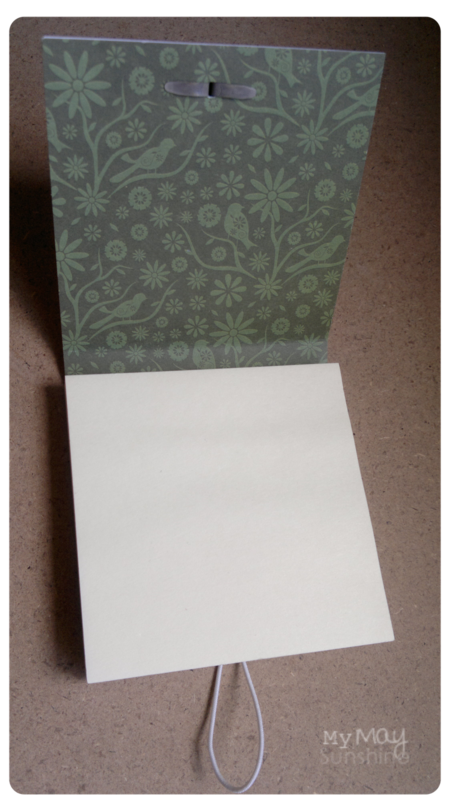 Paper – Papermania ‘birdsong’ colleciton. Stamps – Personal Impressions Paula Pascual ‘Circle Tags’ and Habico Uppercase Alphabet. Previous Post Happy Cupcake Day Card. Next Post Happy Father’s Day.